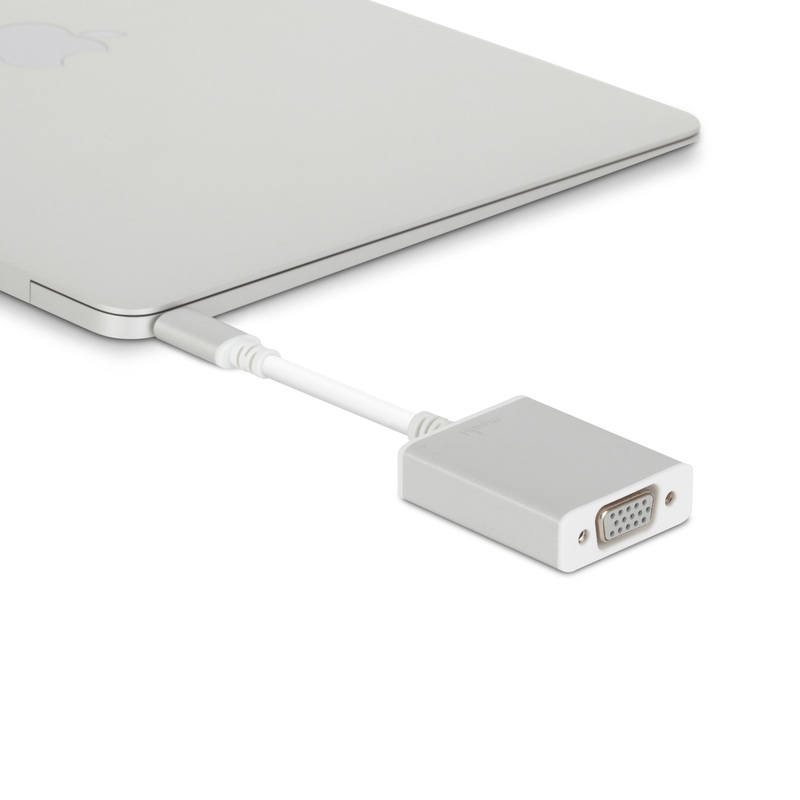 Connect a USB-C laptop like a MacBook Pro to any projector or monitor with a VGA port. Crystal-clear HD video at 60 Hz with anodized aluminum housings. 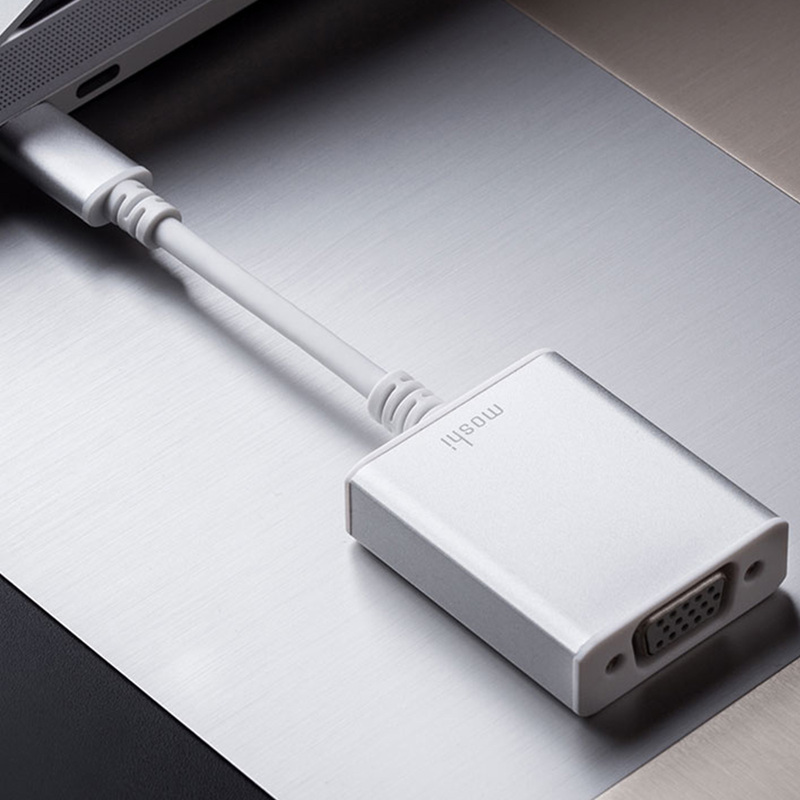 Moshi's USB-C to VGA adapter lets you output HD video from any USB-C device or laptop to a VGA display or projector. 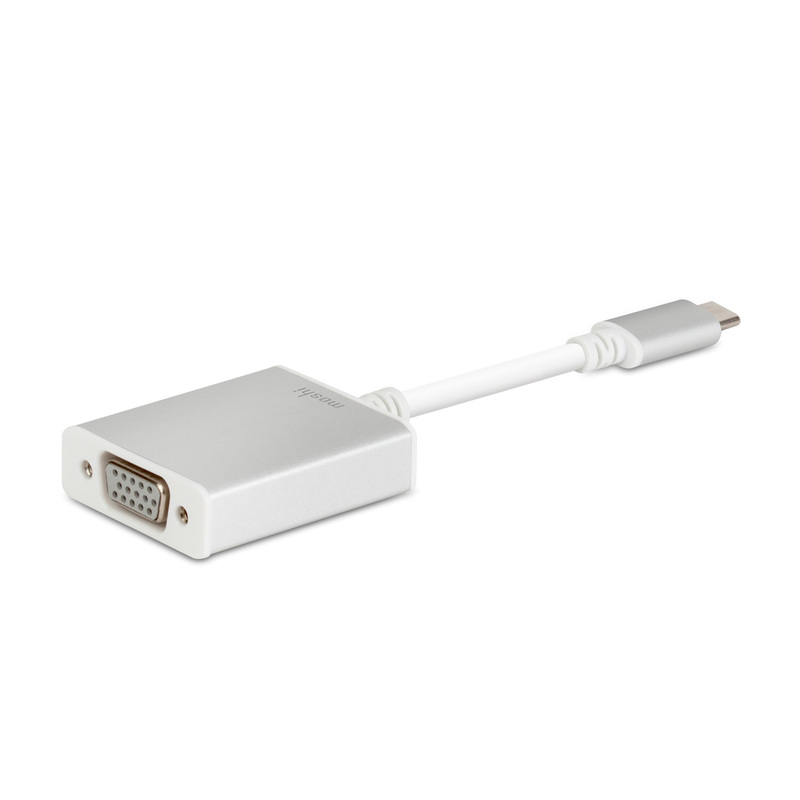 Ideal for classroom or conference room presentations, the adapter supports crystal clear video resolution up to 1920 x 1200 or 1080p at 60Hz. 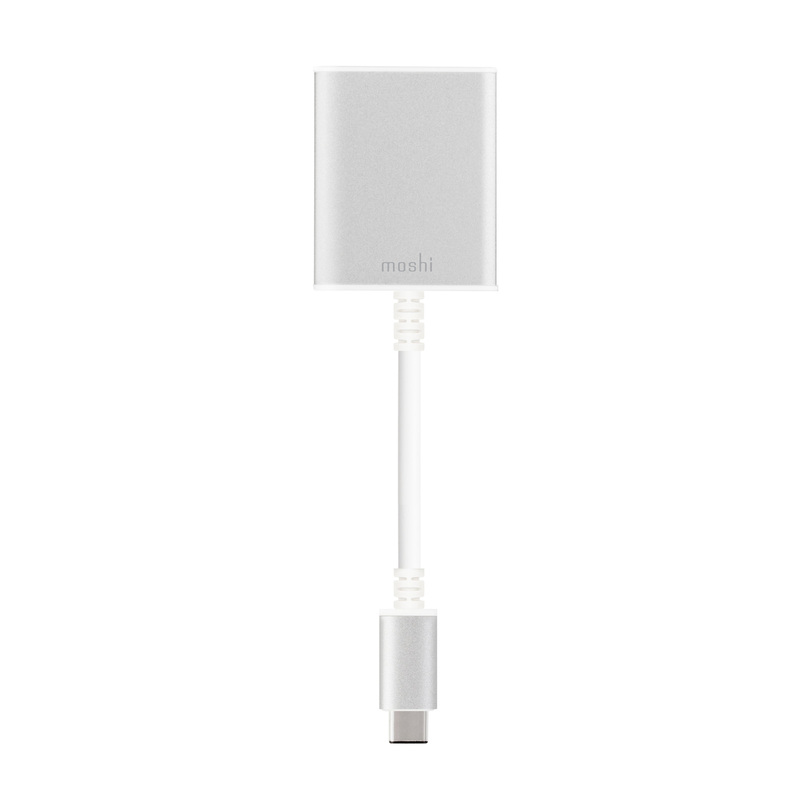 Both ends of the cable are encased in anodized aluminum to minimize electromagnetic interference. With its reversible USB-C connector and Plug-n-Play capability, the adapter guarantees a hassle-free setup for convenient use at home or the office. 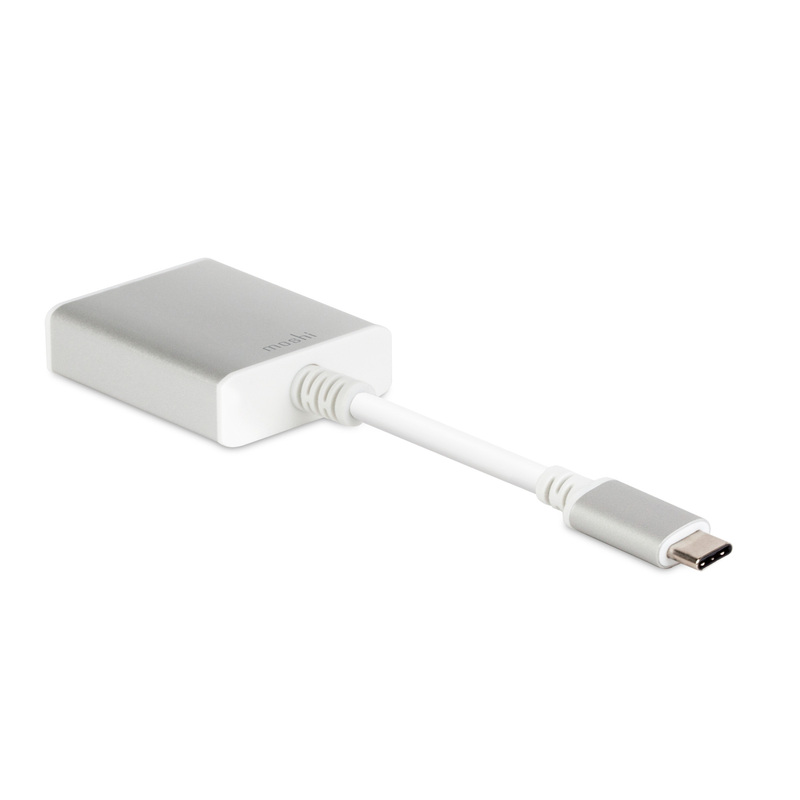 Connect your USB-C device to a VGA display or projector. Supports HD resolutions up to 1920 x 1200 or 1080p at 60Hz. Aluminum casing minimizes electromagnetic interference. Plug-n-Play: no software drivers or power adapter required.